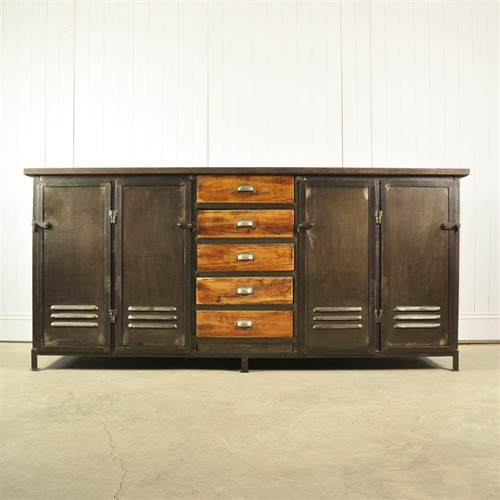 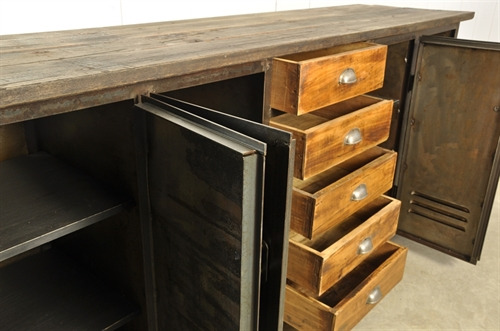 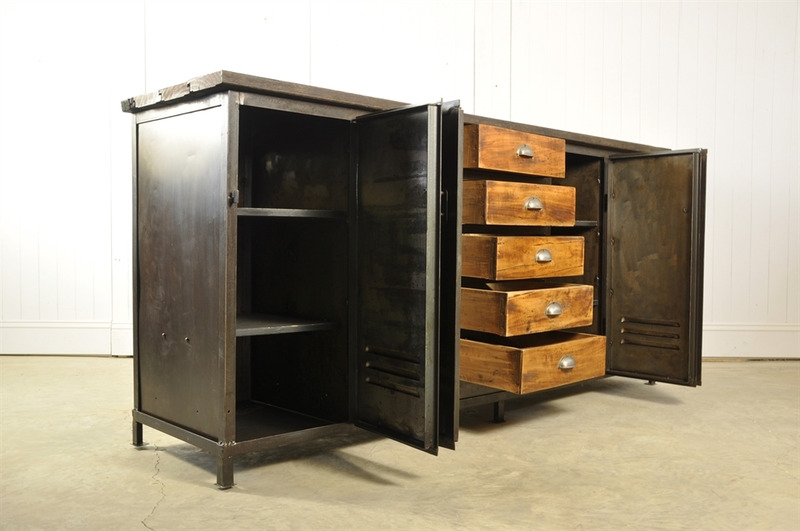 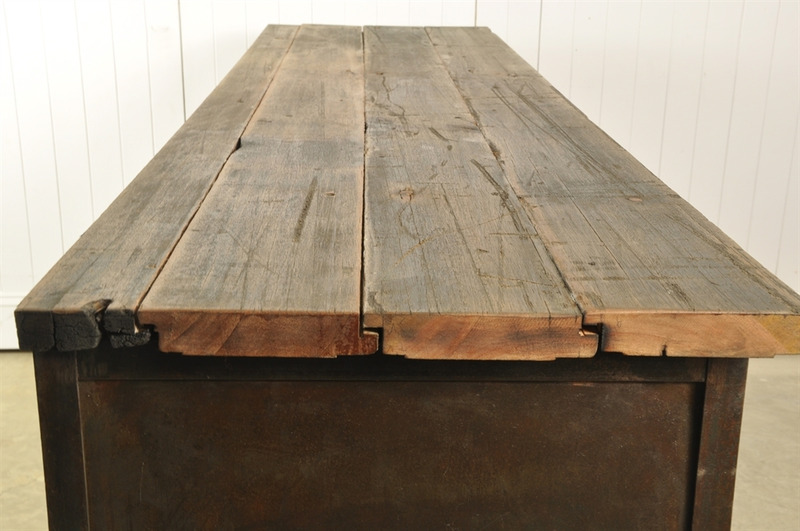 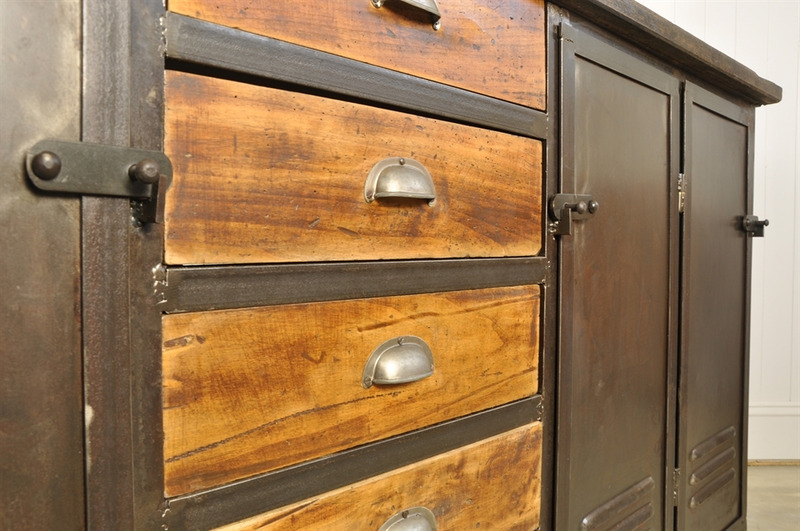 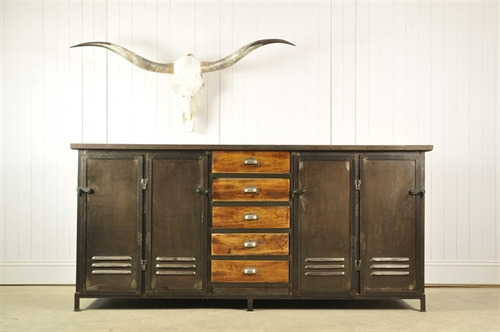 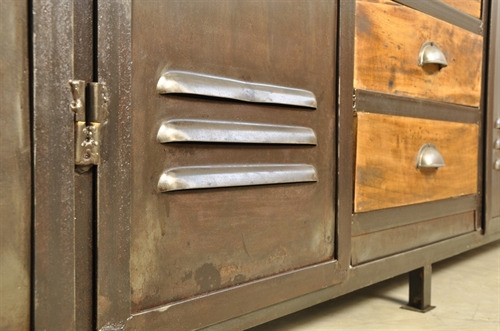 Circa 1930's this stunning vintage industrial sideboard was sourced from a textile factory in the North of France. 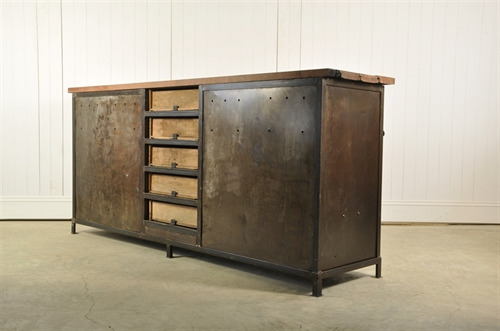 This would have been built in situ as a one off by the factory workshop - a properly made piece of industrial design. 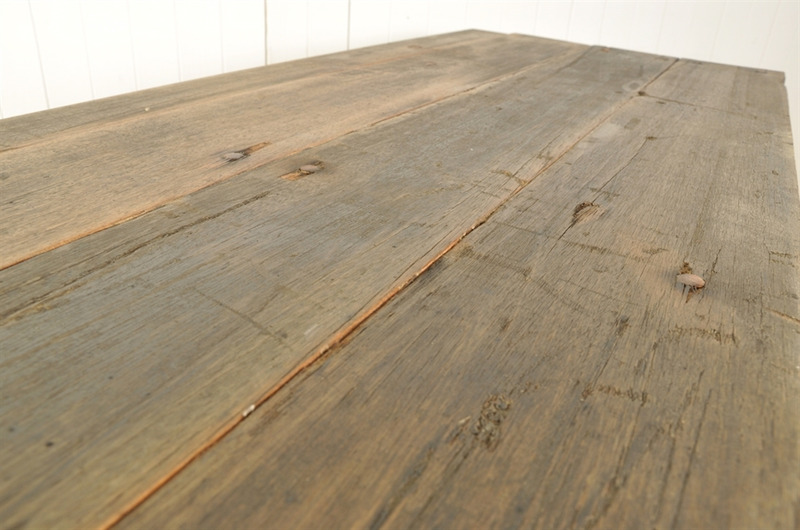 This well proportioned piece has been given a very good clean, the woodwork has been sanded and waxed and there are new painted shelves inside. This is 100 % ready to be used. 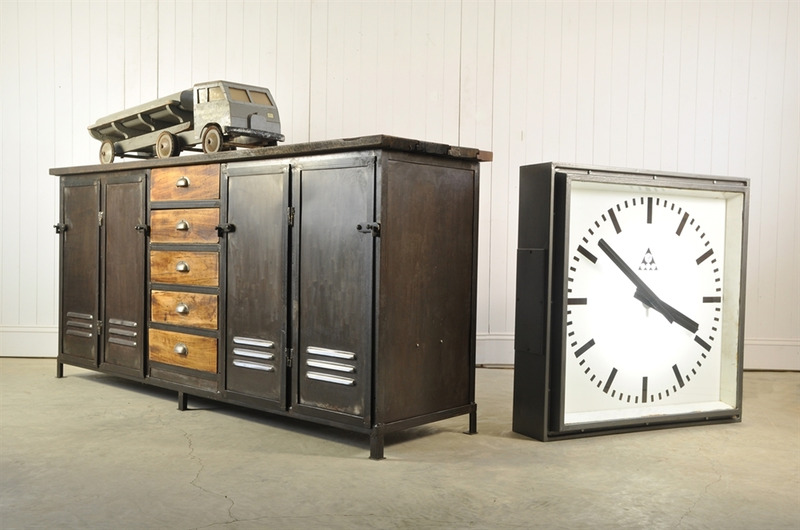 99 cm h x 214 l x 55 d.